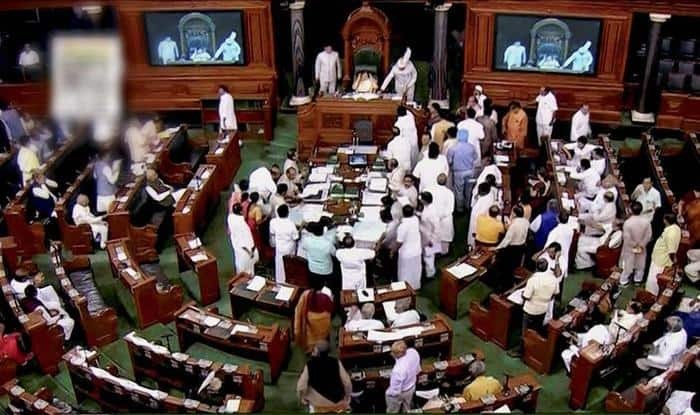 New Delhi: The government on Tuesday introduced a bill in Lok Sabha that seeks to amend the Constitution to provide 10 per cent reservation in jobs and educational institutions to economically backward section in the general category. The Constitution (124th Amendment) Bill 2019, approved by the Union Cabinet on Monday, was brought in on the last day of the Winter Session of Lok Sabha. The Bill seeks to amend Article 15 of the Constitution, by adding a clause which allows states to make “special provision for the advancement of any economically weaker sections of citizens”. These “special provisions” would relate to “their admission to educational institutions, including private educational institutions, whether aided or unaided by the state, other than the minority educational institutions”. It also makes it clear that reservation would be “in addition to the existing reservations and subject to a maximum of ten per cent of the total seats in each category”. “The directive principles of state policy contained in Article 46 of the Constitution enjoins that the State shall promote with special care the educational and economic interests of the weaker sections of the people, and, in particular, of the Scheduled Castes and the Scheduled Tribes, and shall protect them from social injustice and all forms of exploitation,” it pointed out. It said economically weaker sections of citizens were not eligible for the benefit of reservation. “With a view to fulfil the mandate of Article 46, and to ensure that economically weaker sections of citizens get a fair chance of receiving higher education and participation in employment in the services of the State, it has been decided to amend the Constitution of India,” the statement of objects of the bill said. A constitutional amendment bill requires at least half of the members to be present in the House and two-third of them should support it. The Bill seeks to amend Article 15 of the Constitution, by adding a clause.